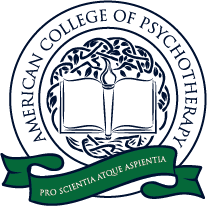 The very exciting news is the CEU’s offered through the American College of Psychotherapy™, and those provided by “Approved Providers and Strategic Alliances” will not only allow you to meet your state licensure requirements but your CEU’s qualify you for Board Certification™ by the American Board of Psychotherapy™, This is an organization created to recognize those who have achieved additional training and a level of excellence in ethics, professionalism, and competence. The American Board of Psychotherapy Certifications ™ include not only American Board Certified Psychotherapist™, but Fellow, Diplomate, and a variety of Specialist Certifications in multiple areas. Join our mailing list to receive the latest news and updates from the college.